I am looking for documentation regarding MM6 hacking. I noticed rock5easily has quite a bit on his site which is quite helpful (and of course datacrystal). Does anyone know of any other source or document ? Last view: 3 hours very awesome, sophia keep up the great work. 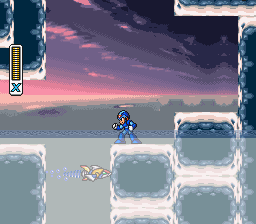 that 1st screenshot, that's the background from a level on GBA Megaman Zero 2 or 3 i believe, huh ? i recognized that at first glance, really looks very awesome on SNES. Hi i currently work on an Mega Man 5 Hack and i need to change the weapons energy which mega man uses with a shot but i haven't find any information how to change that. Is here someone who knows which Hex editor Line in Fceux it is or if i need another program? I'm not sure are you talking about weapon energy consumption? Or maybe you mean which energy slots each weapon use? IIRC in the RAM they're just after MM's HP which is 00B0. Each address after that corresponds to a weapon or item. Try to set a write breakpoint to them and fire with the weapon, you can probably find the point where it tells which address the weapon uses. 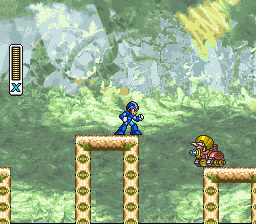 Any Mega Man X fan project is better than nothing, I am hoping Corrupted from JKB games is finished soon, otherwise playing a Mega Man X2 romhack feels like I am playing a PC fan game. The Mega Man X fan gaming community needs a good Mega Man X fan project. Last view: 225 days I'm trying to learn assembly to be able to do more with hacking. 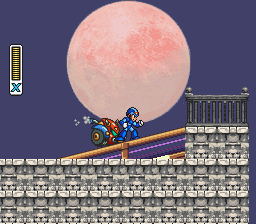 In MM5, as far as I can tell, Star Shield weapon behaves differently depending on whether it hits a projectile (which it deletes) or an enemy (which it damages). Does anyone know how the shield makes the difference between a projectile and an enemy? It doesn't seem to be checking object ID (unless I'm missing something) and as far as I know there is nothing that tells if an object is a projectile or an enemy. Edit: apparently it checks some bits in the object ID which tells it if it's a projectile? is that correct? 1) How to make the backgound do not move slow? 2) How to make the backgrounds of other stages move slow? 3) Can only be applied at the beginning of the stage? In regards to Star Shield, I still haven't figured out how it makes the difference between projectiles and enemies but I stopped digging into it because I found a way to do it which may be longer and take more space, but which suits my needs better. However I'm stuck at something else now so I'll shoot. Like I said I'm learning 6502 Assembly little by little, a couple of months ago I didn't know anything about it. 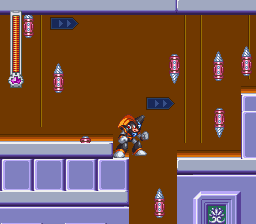 So I'm trying to make deflected enemy bullets that can hurt enemies (think Protoman's shield in MM9/10), however nothing I try works. For instance I've tried to turn enemy bullets into the object ID and attributes of buster shot upon deflection. However that doesn't work because the EFF8 routine which determines contact between MM's shots and enemies, only checks indexes 1 to 3, and the deflected shots which I turn into buster shots remain in their original address indexes (8 to 17). For instance for object ID: ram addresses 301->303 is for MM's shots, 308->317 for enemies and their shots. AFAIK there is no way to change the address indexes upon deflection. So I tried to change the EFF8 (shots->enemies hit detection) routine so that it checks all object ID addresses rather than just the first 3, so I changed LDY 03 to LDY 17. That did work and the deflected shots would hurt enemies, however, on top of being a solution that should increases lag, I also got glitches like enemies disappearing on spawn. I couldn't figure out the enemy disappearing thing. It looks like SOME enemy types (and some only...) would basically detect that they are in contact with themselves. What I don't understand is why it happens to some enemies only, and why it happens at all since onl MM's shots are programmed to dmg enemies (although it looks like it skips HP altogether and jumps directly to the 'delete enemy' part). Last view: 99 days Is there anyway you can disable the score and those point balls in Mega Man? I wanna get rid of it in my hack since the score system is pretty useless in my opinion. I'm trying to use the CSA editor to edit MM5 sprites, but most sprites look like garbled mess in the editor. 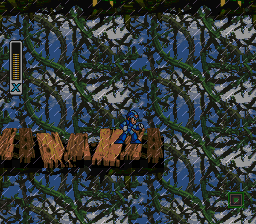 For instance when I look at sprite number 07 which is supposed to be MM shooting while running, not only the tiles are completely out of place in the editor but it looks like it's not even the right tiles showing. Anyone experienced with the editor knows what's up here? I think Zynk used it for his Roll hacks? Hi. The player sprites has different sets for some sprites. BTW 07 is the jump sprite. Observe the PPU viewer on FCEUX and use YY-CHR to look at the offsets of the tiles used for that sprite. I believe this is the pattern load you are currently using? Last view: 225 days Ah! Thanks a lot that worked, this is going to help a lot. Those settings are in the txt file so I didn't even look at them. However sprite number 10 is the jump frame, but it's anim number 07. The issue is that the CSA editor calls "sprites" what I'd be calling anim numbers, and it calls "frames" what I'd call sprites. Tiles -> sprites -> anim using several sprites. That's how I see it. Then again I've seen documentation call tiles "sprites", and then what I call sprite would be a "series of sprites". Anyhow. The character hacking I'm planning requires a couple more tiles for several sprites (frames). The issue being that if I set more tiles to a current sprite (frame), its pattern definition will be longer and thus it will step over to the definition of the next sprite (frame). 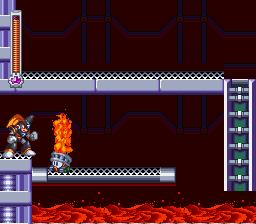 So, I'm planning to change the address defs and step over unused sprite/frames in the first bank, but there aren't many unused sprite/frames in bank 0 (IIRC about 4 frames of MM having a hand instead of his cannon which are unused). So, the question is can I use bank 0 for some anims, and bank 1 for some others without causing flicker? I know that the weapon MM fires for instance are in bank 1 while MM himself is in bank 0, so in theory this should work ? So the real question is, what is the cause of flicker and how to make sure it doesn't happen? Edit: to answer my own question, seems like it's possible. Thanks again for the help. Last view: 99 days So I wanna recreate Sivak Drac's Adventures of Bass 3, pacnsacdave put Bass' sprites in while I design the levels, mind you Sivak Drac never finished his MM3 hack and never released what he did. Pacnsacdave did the best he could with Treble. If Treble can't be changed it's cool. I wanna get rid of the MM blue and make it match like Bass 2. And where do I find the offsets to disable the sliding? I wouldn't know how to do that, I'm sure it's possible, rearranging the tiles in a way that can make Bass dash. I know basic hex editing not magical ASM. I'm good with hacking notes on me though. Last view: 74 days If Mega Man III was a base, then why not re-draw him to make it like the official ones from CAPCOM. I have thought about doing Roll-Chan with Mega Man III using Capcom Sprite Assember but how much worth of tile space does Bass uses especially without making the game flickering? Note that Shadow Blade can fire in 6 directions so there is a possibly about turning the shadow blade into the enemy projectile shot along with the Needle Cannon rapid fire thingy. That is my suggestion, not an idea. Last view: 225 days Using the official Bass design is possible, but not that simple. Most frames for Bass probably require a total of 2-3 more tiles. Plus, he's less symetrical than MM, meaning that sometimes you wouldn't be able to use the same tile mirrored, but another one. This means that he'd need to find the pattern and placement definitions, make them bigger, which means moving them. Then, you have to worry about tile allocation in the CHR bank. I'm sure a lot of the addresses used for MM are already full, so it would mean moving some of the tiles and frames to another offset. And that's granted there is even enough free space available in the sprite bank for the longer defs. Adding 2-3 tiles per frame eats up extra space rather quickly. I'd recommend checking if there is enough free space in whatever is the main PRG bank (there should be one that's on at all times) to move some of the defs there and save space. All of this should be possible though. I've been working on a similar character hack, though not for MM3. I wouldn't worry too much about tile flicker. Some MM games like 5 already have some insane tile flicker by default. I've already added tiles (1 or 2 depending on the frame) to MM in the hack I'm making and I don't notice any more tile flicker than there originally is. Maybe just a little, barely noticeable. Someone at RHDN added him for me so I don't need Sviak's Bass sprite anymore, I just gotta edit Treble's nose a bit. Here's my ad on RHDN to show what I need help with in the graphics department. Big thanks to kujakiller in helping me with what I needed, too. MySQL - queries: 126, rows: 167/0, time: 0.147 seconds.